Our shops will be open until 6pm on 24 December. 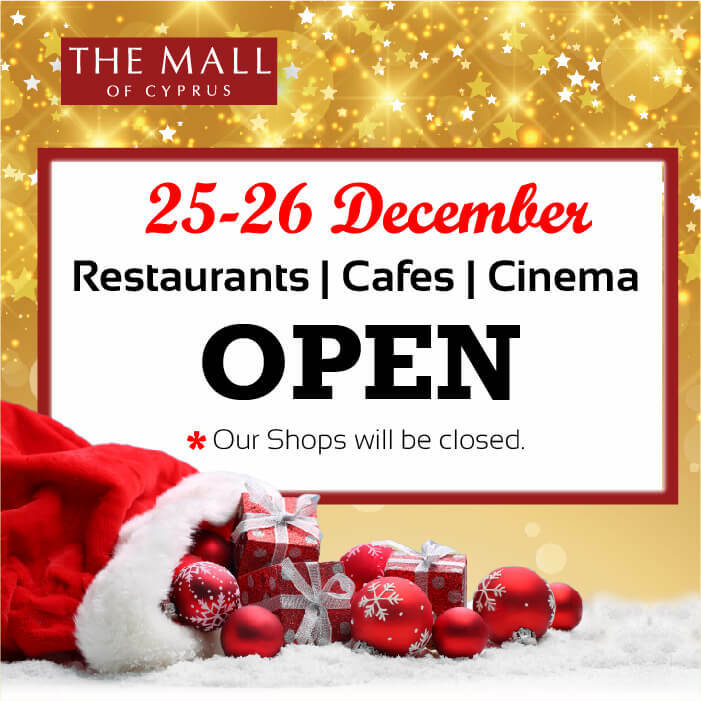 They will remain closed on 25 and 26 December. The cafeterias, restaurants, cinema and arcade will be open as usual.